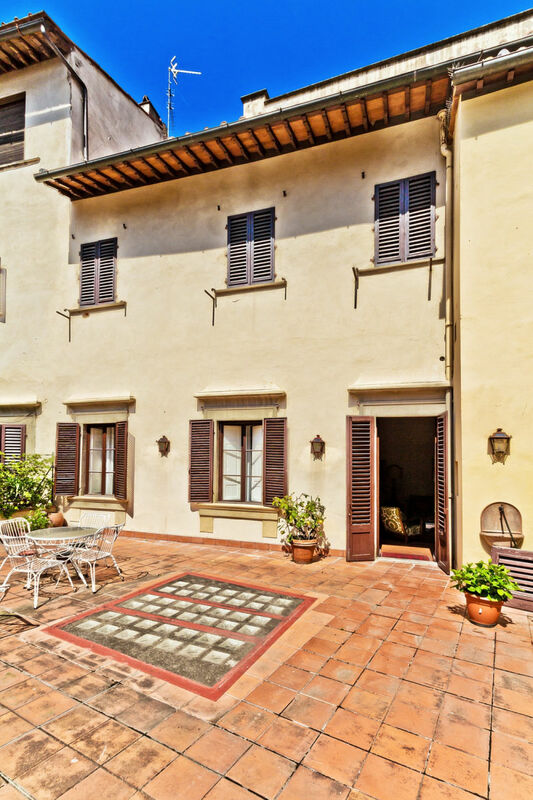 This bright apartment for sale is located in an elegant 15 c. building, just a walk from Ponte Santa Trinita bridge. 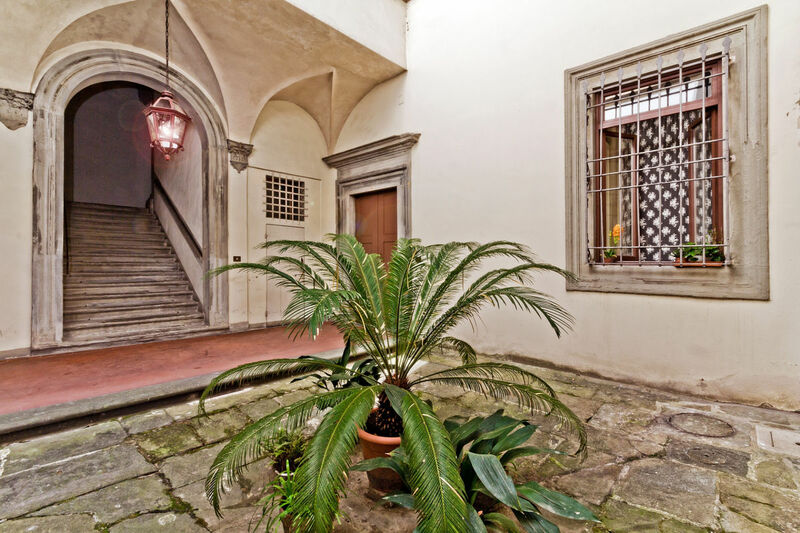 You can access to this apartment located on the second floor through the typical of Renaissance period inner courtyard and entrance with frescoes, using wide sandstone (aka Macigno stone) stairs. This apartment of 150 sq. 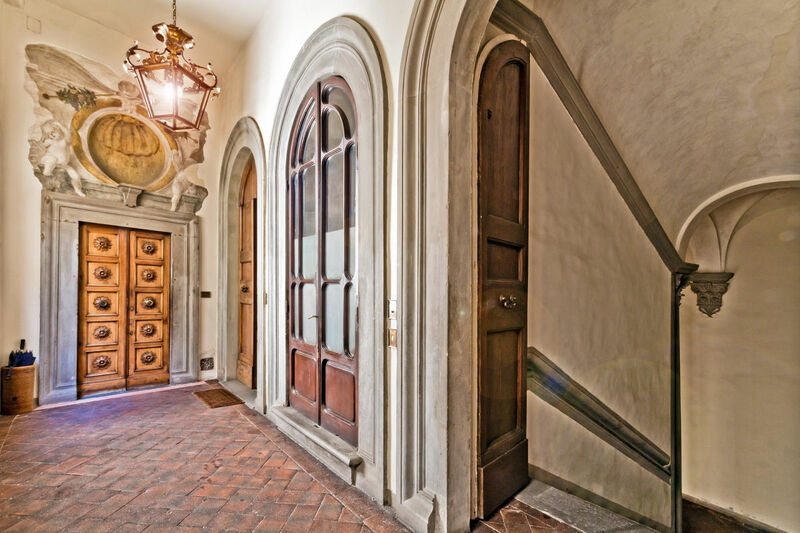 m has an entrance, a living room, a dining room with a loft, a kitchen, a small hall/dressing room, a closet, 2 bedrooms, 1 bathroom (with a possibility to build 2 more bathrooms for a total of 3) and a large terrace of 130 sq. m.